I am always surprised by the greatness of cactus flowers. I spied this one on my walk with Haley yesterday. As I pulled out my phone to take this picture, a little bee alighted upon the creamy white petals. 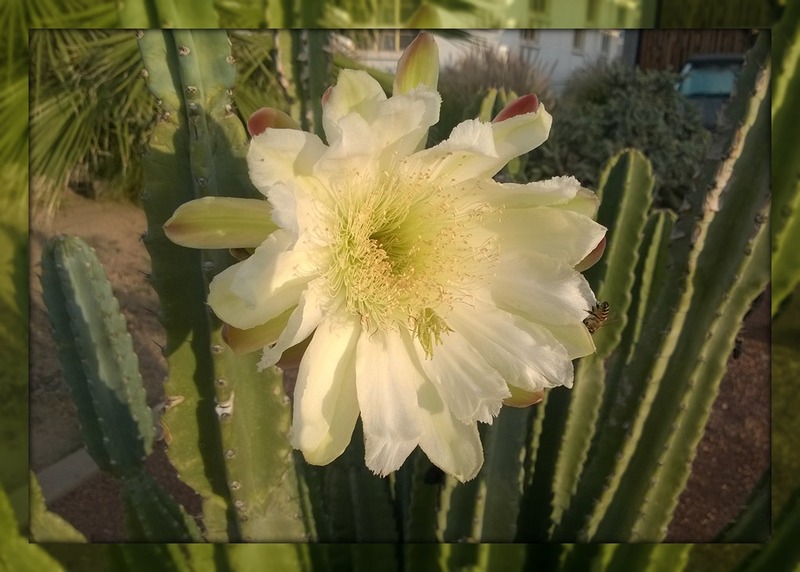 This entry was posted in Simple Sunday, The Great Outdoors and tagged cactus flowers, desert, Flowers, Life, Nature, outside, Photography, walking with the dog. Bookmark the permalink.